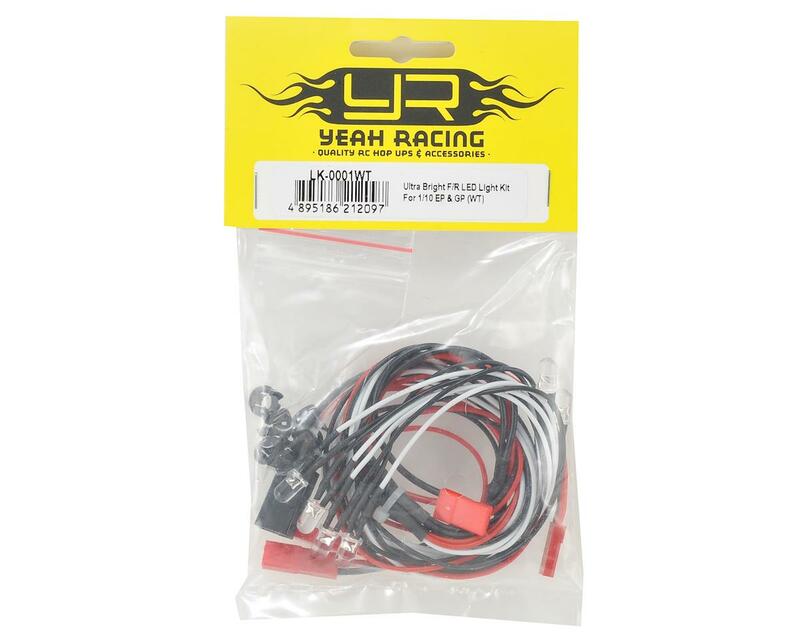 The Yeah Racing Ultra Bright LED Light Kit is a great light kit for any application. 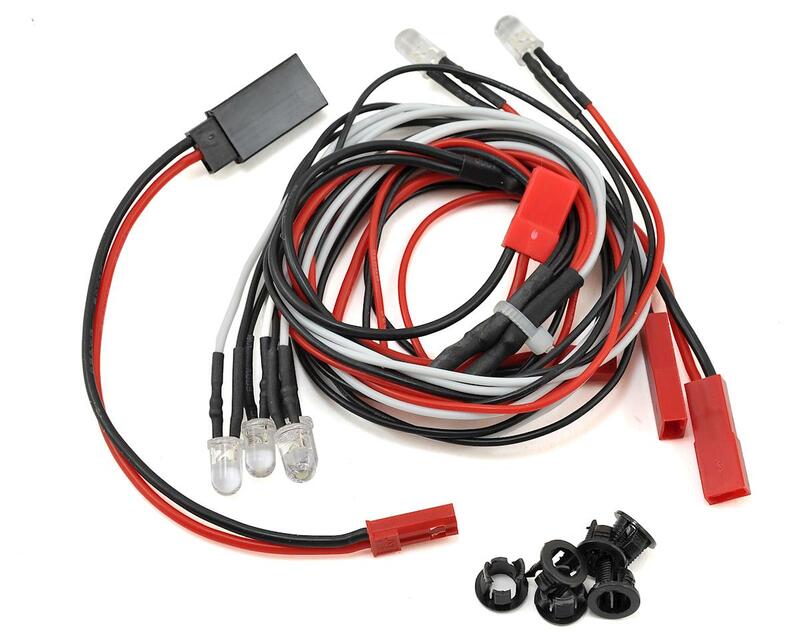 These lights feature four white 5mm LEDs, and two red 5mm LEDs, all wired into a single female JST connector. The lights run at a maximum of 6.0V, so they can be powered directly from your receiver, or from a 4 or 5 cell nickel battery. The lights look good and are easy to install. The only issue was the overall wire length was a bit tight on my Trx-4 long wheelbase. They barely reach and pop out of the holders. Very easy to install, multiple connection options. I hooked straight into my receiver and works like a charm. Very neat product for the low cost. Answer to the question of where to plug in this light set. It will work on any free slot/channel that is free. If one is not available you can use a Y harness and plug it into the Battery channel on your reciver. That is what I did worked like a charm. This led set is worth the cost. How Is the installation with those light kit ? ?